UK publishing house Haymarket Media looks to be shutting up its Australian operation after Nextmedia, owned by Forum Media Group, acquired the majority of its local titles, most of which are in the technology space. 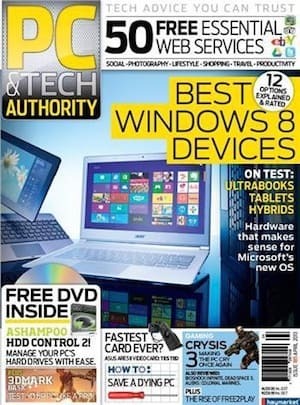 The publisher had iTNews, CRN (Computer Reseller News) and PC & Tech Authority under its belt, among other titles, as well as a raft of mastheads brought from the UK headquarters including F1 Racing and soccer magazine FourFourTwo. Signs were slowly appearing that Haymarket was looking to downsize after rolling niche computing title Atomic into PC & Tech Authority in late 2012. Nextmedia already has a raft of technology titles including Hyper, Camera, PC Powerplay and Popular Science, which it recently acquired from John Southam-owned Australian Media Properties. It has been reported that most of the journalists at Haymarket Media will move across to Next Media but technology media industry website IT Journo has reported one editor being made redundant. Haymarket Media is based in North Sydney and also holds the license to publish ABC's Limelight title as well as other industry titles including ProPrint. It is not yet known what will happen to those titles but sources suggest Limelight will not move to Nextmedia with the other titles. On 27 September this year it was announced that German-based Forum Media Group would acquire 100% of Nextmedia from previous owners Wolseley Private Equity.